Luca De La Torre is an American professional soccer player. 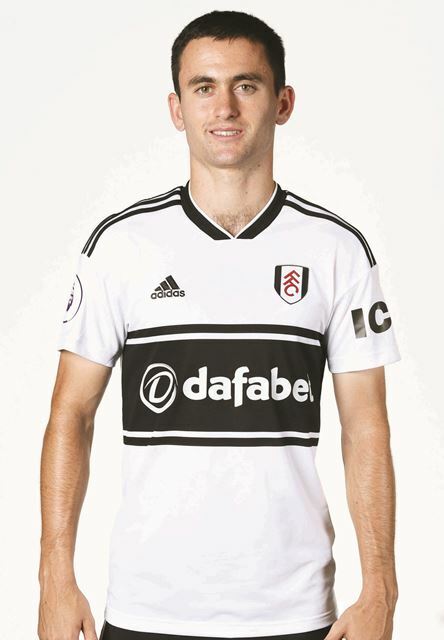 As of 2018, he is currently playing as a midfielder for Fulham FC in the premier league. Luca de la Torre started playing football at Nomad Soccer Club and San Diego Surf before moving to England in 2013 to play for Fulham. Luca can also play a range of other position apart from an attacking midfield. Further, he is a thrilling prospect that follows the long tradition of players coming to Fulham from the States. Luca was born on May 23, 1998, to parents Juan de la Torre and Anne Bang in San Diego, California, United States. As per his ethnicity, he is American by nationality and belongs to a white ethnic group. Further, his star sign is Gemini. In addition, the details about his siblings are not available yet. Torre graduated from the Torrey Pines High School and eventually went to the Fulham Youth Academy. De la Torre, as an international youth, impressed during his training with the First Team in the summer of 2016 and soon made his debut in the EFL Cup, playing 88 minutes of a 3-2 win at Leyton Orient in Round One. Luca currently has a contract with Fulham until 2020 and has a market value of £450k. Further, he has an endorsement deal with Nike as he currently made a post regarding his association with Nike. He is one of the least paid players of Fulham Fc while Calum Chambers, Timothy Fosu-Mensah are among the highest earner of the team. Motion Blur from @nikefootball #magista ?? In addition, the young Fulham midfielder's earning is believed to be solely from his playing career. Currently, his estimated net worth is still under review. Luca made his league game debut on October 28, 2017, against Bolton Wanderers as a last-minute substitute for Tomas Kalas. De La Torre was part of the U17 team of the United States, playing 2015 CONCACAF U-17 Championship and 2015 FIFA U-17 World Cup. He was also part of the U-20 U.S. team that won the 2017 CONCACAF U-20 Championship, scoring the winner in a 4-1 group stage win against Haiti U20 and He scored a penalty kick in the final against Honduras U20 during the penalty shootout. Currently, he is playing with Andre Schurrle, Aleksandar Mitrovic and many more. Currently, there is no information about his relationship and affairs. In addition, he is focused on building up his career and kept his romantic relationship hidden from the public. The dad of De la Torre is Spanish and the mother is American. He, therefore, holds a Spanish passport. The young attacking midfielder has a height of 5 ft 9 inch. He is not only a world-class athlete but also is a very attractive individual.